Netflix and Amazon continue to duel in pleasing their users with original content. 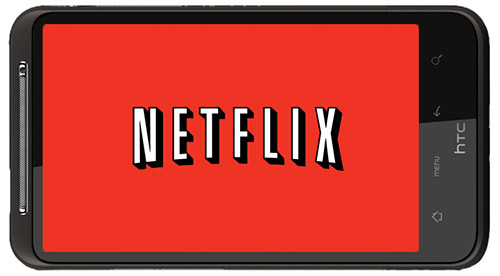 Recently, Netflix has joined in a deal with Dreamworks Animation which will give the streaming media service “over 300 hours of new programming”. This new programming will be based off of current and upcoming films and other franchises. Things kick off with a series based on Turbo; the film comes out soon while the series comes out in December. Other franchises that could see new content coming in include Where’s Waldo, Casper, and Fat Albert—all of which are held by Classic Media. It will be interesting to see if Dreamworks and Netflix can put out better versions of Where’s Waldo and Casper than the ones from the 90s and 2000s…that is if they make new series or features with these. Speaking of features, Netflix will showcase Dreamworks animated features down the road in their premium deal with featured films being Mr. Peabody and Sherman, The Croods, and Turbo. Honestly Mr. Peabody and Sherman would be enough to jump on board with Netflix. On the Amazon end of things, they recently got a deal with Disney to showcase several of their shows and films. Amazon’s Lovefilm service—which is a Europe-based stream service—will showcase more Disney films in their Movies on Demand section. Now users in the UK, Norway, Germany, Sweden, and Denmark can view films such as Snow White, Dumbo, Chronicles of Narnia, Cinderella, and more. There’s a large library of animated, CGI animated, and live action films for Lovefilm to choose from and enjoy overall. It was announced last month that Amazon had inked a deal giving them a ton of Viacom material which ran the gamut of broadcasted shows from MTV, Nickelodeon, and VH1. While the Viacom and Disney deals are well, big deals, Amazon will also deliver custom content out of their Amazon Studios with several programs to air pilots later in the year and early next year.